CG Says: The 2019 Audi Q5 gains standard heated front seats, electric rear child door locks, and a 7-inch control screen. The Premium Plus model now has a standard navigation system. The Audi Q5 premium compact crossover SUV was redesigned for 2018. The base engine is a 252-horsepower turbocharged 2.0-liter 4-cylinder paired with a 7-speed automated-manual transmission. The sporty SQ5 variant has a turbocharged 3.0-liter V6 paired with an 8-speed automatic. All-wheel drive is standard on all, and the system can conserve fuel by disconnecting the rear axle when extra traction is not needed. Automatic emergency braking is standard, and an available vehicle-exit-assist system warns if a car or bicycle is approaching as a door is opened. Other available features include LED headlights; panoramic sunroof; adaptive cruise control; lane-keep assist; rear cross-traffic alert; blind-spot alert; and a traffic-jam assist feature that combines acceleration, braking, and steering guidance at speeds below 40 mph. 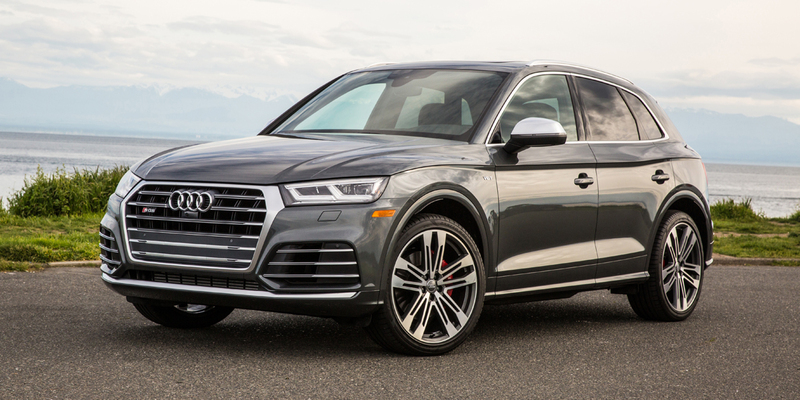 The Q5 is a comfortable, quiet premium-compact crossover with an impeccably finished cabin and polished, athletic road manners. The SQ5 adds a healthy extra dose of all-around performance, albeit for a significant price premium.